Who doesn’t enjoy the bliss of picking up a fresh read and getting lost in its gripping story? Or the excitement for a book that you’ve been hooked to for the past few days and unravelling its drama page by page? 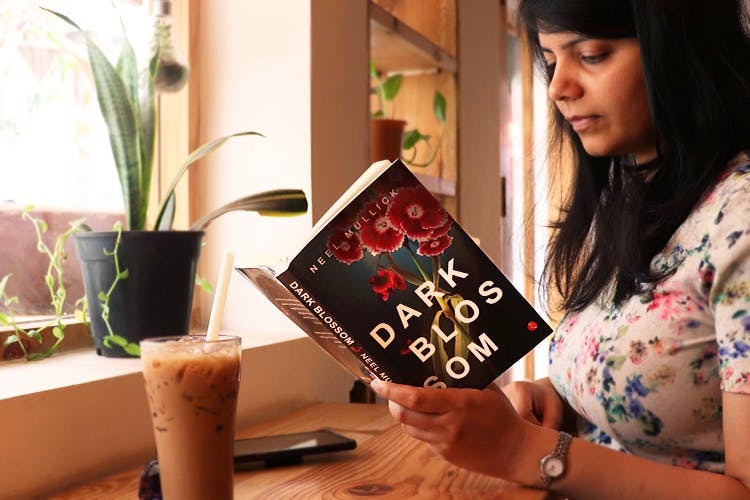 Neel Mullick’s Dark Blossom is one such read that has had us enthralled with its story that’s weaved with intense human emotions, love and relationships. For such a read as this one, hoard on some cool book accessories to look like a true-blue bibliophile! Flaunt your current set of books that you’re reading in your room with this cool Hand Engraved Owl Book End. It’s sure to lead to interesting conversations with your friends visiting over at home! For times when you want to read past midnight and are staying with someone who likes to hit the snooze button soon, this book lamp will be your perfect rescue. There can be enough bookmarks to place inside (all) our current reads. Check out these cute, quirky leather pieces that are available in various colours such as in tan browns, nudes and even fuschia pink! Maybe hoard them all to suit your various moods. Whether you’re a proud bibliophile yourself or want to gift it to a friend who claims to be one, get your favourite quote embossed on this beautiful pendant. You’ll certainly want to flaunt this one around. Light up one of these candles in your reading room while catching up your favourite reads! Embossed with quotes from some of the classic novels, they’re available in options such as Gryffindor Candle (notes of Butterbeer + musk), a 221B Sherlock Candle (cigar + black currant), Jane Eyre (roses + eucalyptus) and more. Combine these accessories with the unputdownable book, Dark Blossom for a friend or even for your own collection. Ruskin Bond has hailed it as "Unputdownable!" and noted news commentator, Rajdeep Sardesai has called it "Haunting and visceral..." You’ll be thanking us for this awesome discovery! #LBBTip: Don’t forget to participate in Neel Mullick’s WinTrip2NY contest for a chance to win tickets to New York!